Is that the dulcet tones of the Minecraft Title Theme I hear? 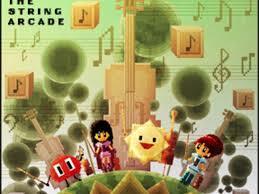 The String Arcade is an example of crowd funding working just as it was intended. A project that began as a Kickstarter campaign is set to successfully launch on February 11th – and it’s well worth taking a look (or a listen) at. The String Arcade takes the video game songs we all know and love, and re-imagines them as classical masterpieces that are really very lovely to listen to. Whether you’re an avid gamer looking to enjoy your hobby in a new way, or a classical music fan who wants something a little different, The String Arcade is strings done right. Each song is is expertly played in a way that stays true to the original piece while adding enough interpretation and imagination to make them equally appropriate as a background to a gaming session or a trip to the symphony. In fact, that’s a big part of the inspiration beyond The String Arcade – making strings accessible and desirable to kids who might otherwise never think to pick up an instrument. Some of the games that have songs featured include games that are kid favorites. It’s an ingenious way to get kids interested in music by showing them a new way to enjoy their favorite games. What kid hasn’t played Minecraft or Plants vs. Zombies? The String Arcade is now available for pre-order ahead of its February 11th release, and you can check out a sample of it right here. It’s a high energy album with some truly professional arrangements from some of gaming’s all-time favorites. It’s a great way to get your kids interested in classical music, and some very easy listening for adults too. And (as if you need another reason), all proceeds from the album will go to benefit the Almeda Music Project, which provides a free after school music program for kids of all backgrounds. Great music for a great cause – what more could you ask for?